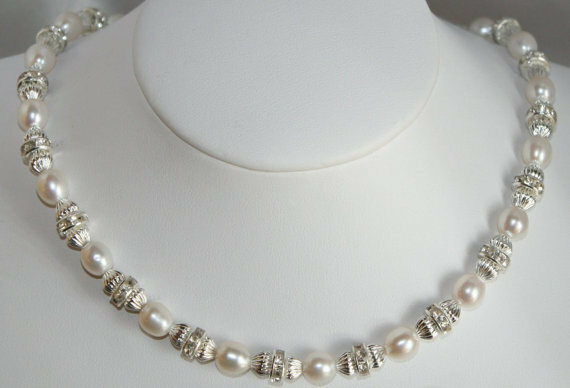 Quality freshwater pearl wedding statement necklace - perfect for your special day. 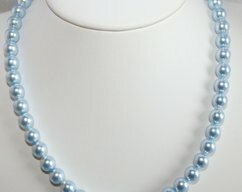 It is made with AA top quality, off-round shape bridal white 7.5-8mm freshwater pearls that are nearly blemish free. 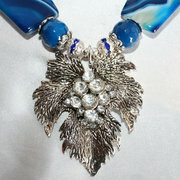 These are just gorgeous, have a beautiful luster and are so rich looking! 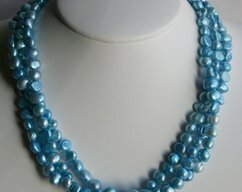 In between the pearls are silver plated 8mm rhinestone rondelles and 6mm silver plated corrugated beads giving it a very unique look. 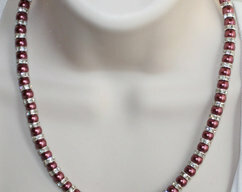 The length is 17 inches long with a 3 1/2 inch silver plated chain for that perfect fit. 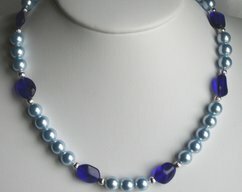 It is finished with a silver plated clasp. The matching pierced earrings are approximately 2 1/2 inches on silver plated lever backs. Thank you for shopping 123 Gemstones, we are a smoke free home.